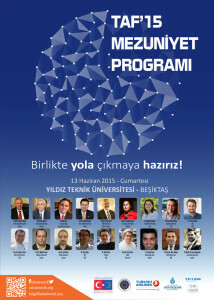 Armagan Kocer will participate in the TAF Network Program at the Yildiz Technical University, Istanbul, Turkey. In the first day, she will be giving a talk and participating in discussions with students who will start their post-graduate research in another country. The second day she will be talking to representatives of industry and investors.